Discussion in 'Events & Announcements' started by Flagg37, Aug 28, 2017. If you have a submission that you would like approved to be added to this list you need to submit it for approval at least one week before the swap. If anyone is part of the DBTC from the Space Invader Chalice that @Geneva started, this is going to be a tribute coral to her and will be considered a bonus coral. 1 eye is the minimum to be considered as a bonus coral. Just to be clear, this isn't any space invader chalice but only that strain that Geneva started in her DBTC thread. This is to encourage the propagation of that coral through our club in remembrance of her. tankguy, rygh, MisterReefer and 4 others like this. Great idea! Wasn't planning on fragging mine just yet, but I will see if I can. Your name needs to be in that DBTC for your frag to qualify! We will be checking! Coral reefer and iCon like this. I would think it would have to be 5 or 6+ heads at least. They grow so damn fast. That's one was removed from the bonus list this time around since it has become much more common. 2" Copps Calacali has been added. 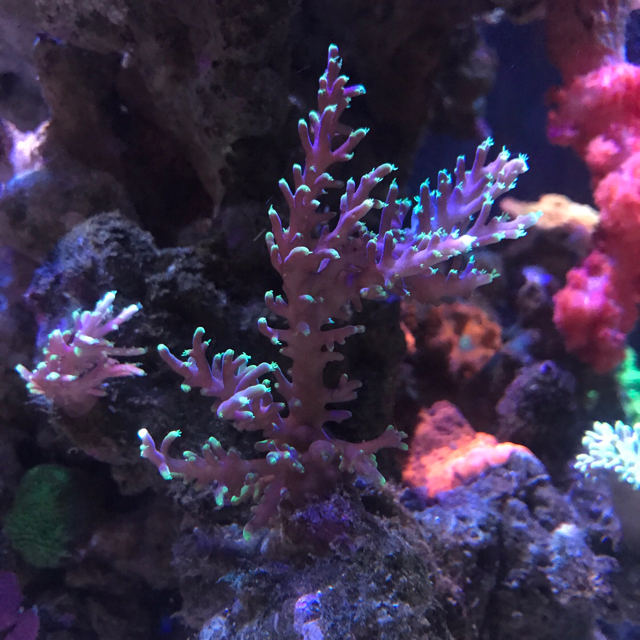 Just curious, what defines a bonus or ultra coral? Price? Rarity? Fancy name/lineage? Whoever pays @Flagg37 off enough? Actually its me and @Ibn you have to pay off. Does Aussie Highlighter Acro make the bonus list? Quite a few of those factors are under consideration. Price, rarity, lineage, rate of growth, local/regional availability, and of course in the case of Geneva's piece, a tribute in remembrance for her contributions to the club. Just wondering cause something like this. 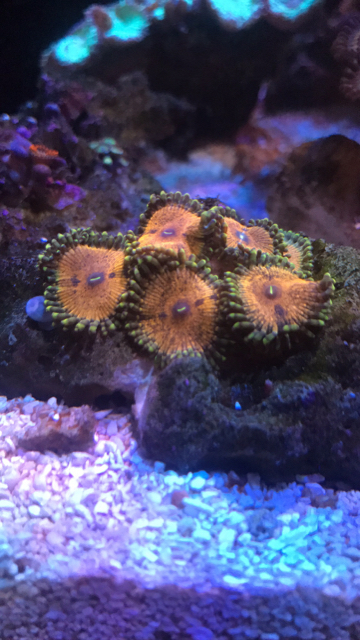 No name zoa, no lineage, kinda looks cool, costs ~20/polyp at Neptune. Bonus? Or this needle in the haystack. It'll run you $30-40 for a 1.5"-2" frag. Just looking at the list and it's not clear exactly how it's determined since, for example, single head torches and 2 color Yuma's can be found for pretty inexpensive these days. If it's just yours and lbn's opinion and that is the rule, I'm cool with following it, just want to try to understand the logic how the list was determined. We are always open to suggestions. A lot of these are carry overs from previous lists. Bicolor torches are still $20 and up I believe and Gold torches are still $40 a head. Yumas range from $20 to $40 depending color. I will admit my focus is more on sps and I believe Eric is as well. We welcome any suggestions if you feel something should be removed from the bonus list. We will take them into account. I'll gladly add it to list in case you bring a frag? That's a stupid bonus coral. Whoever brings it should throw it in my trash. Sucker is slow growing. RB only pic. 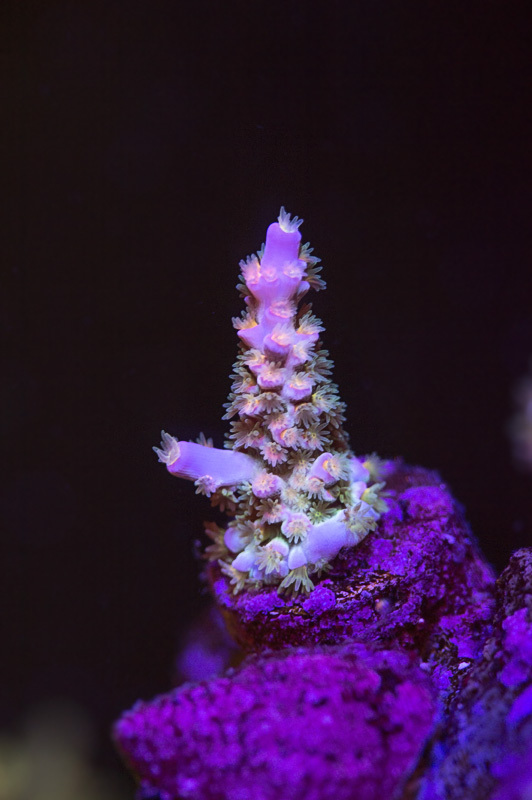 Hey I heard that if you top the frag, ie cut off the main axial corallite with a few rows of radial coralites, it encourages the frag to grow more axial coralites and so increase growth rate! I'd be happy to test that for you!